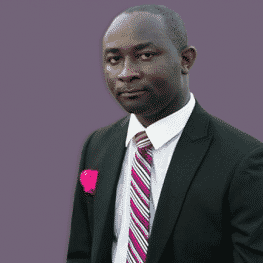 Kwame Asiedu Owusu is a telecom engineer by profession and a full-time lecturer at the Department of Telecommunications at the Ghana Technology University College. Kwame Asiedu Owusu is a telecom engineer by profession and a full-time lecturer at the Department of Telecommunications at the Ghana Technology University College (formerly Ghana Telecom University College). He has a Masters in Telecommunications Engineering; specifically in the areas of EM, Optical Communications and Microwave Engineering from TUHH, Hamburg Germany. He is currently a PhD candidate at CASS, Europe. His area of interest is research, with specialities in Fibre Optics Communications, Electromagnetic Waves/Radiations, RF & Microwave Communications/Engineering, Telecom and I.C.T Management.